This statement is prepared in accordance with the requirements of part 2, Schedule 19, Finance Act 2016 in relation to the financial year ended 31 August 2018. It applies to all companies in the UK within the ASI Group that are consolidated within the accounts of ASI. As a large organisation with over 400 staff members we recognise the importance of our tax obligations and take seriously our responsibility to contribute to the community through the payment of taxes. That appropriate controls are in place to ensure that the required tax is paid. We are fully transparent and comply with the law so that tax returns and payments are made on time and proper disclosure is made to the tax authorities. We properly reflect tax considerations in our day to day commercial activities. We will not engage in artificial transactions where the sole purpose is to reduce the amount of tax paid. Where there may be an area of contention or interpretation of law we seek opinion from external advisors on the appropriate treatment. Work with the tax authorities in an open and transparent way. If, in the rare case we may have a difference of opinion on the interpretation of the law we will seek to resolve matters through dialogue with the tax authorities. If matters are not resolved ASI will rigorously defend its’ position through the courts if necessary. Auto-Sleepers Investments presents its’ report for staff employed as at 5th April 2018. Auto-Sleepers investments operates in the automotive sector both at the manufacturing and retail level. Our business operates for seven days per week. 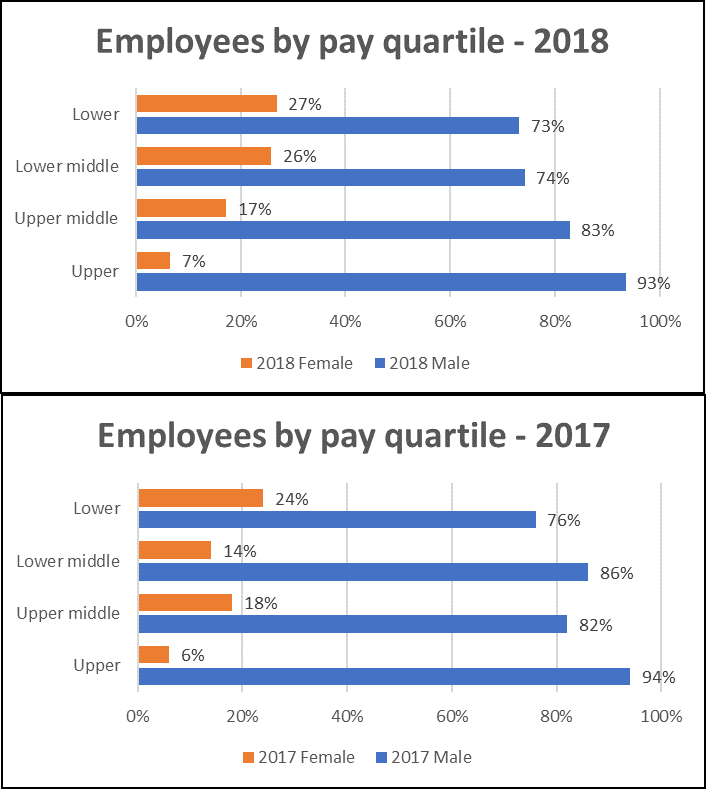 In common with other businesses within our sector it is dominated by male employees and it comes as no surprise that there is a gender pay gap as all senior management are male. The Board is committed to address the issue of gender imbalance and attract more women to join the business. The Board is confident that where roles are identical within the business staff are paid equal rates of pay irrespective of gender.